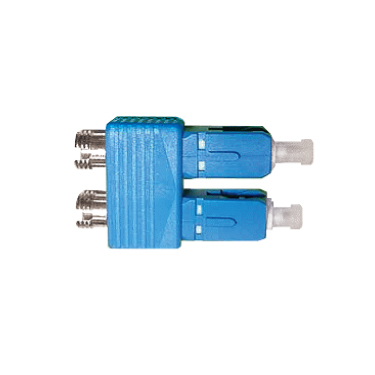 E–551 LANtest-E - RJ-45, RJ-11 and BNC Compact Basic Network Cable Tester features a brand new compact design with the functions of the original LANtest. It is partical, easy to use, and provides crystal–clear results. 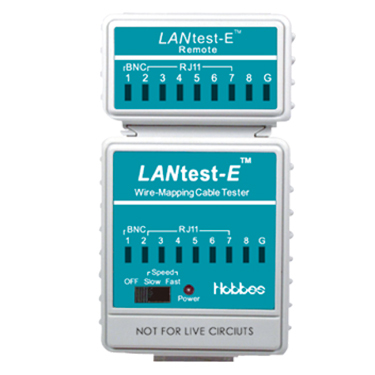 LANtest-E - RJ-45, RJ-11 and BNC Compact Basic Network Cable Tester maps actual wiring configurations for 10/100/1000 BASE–T cables, BNC cables, RJ-45/RJ-11 modular cables. With the included Remote unit, one–person testing of cables installed in walls or patch panels is easy. 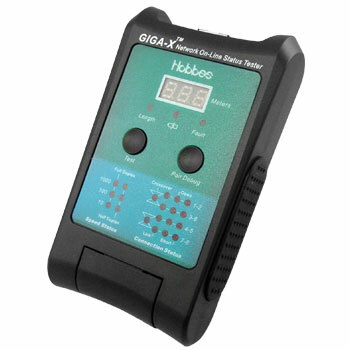 GIGA–X - Network Cable Tester With Length Meter & Wire Mapper & Short Location & Link Tester is an economical and versatile tool. 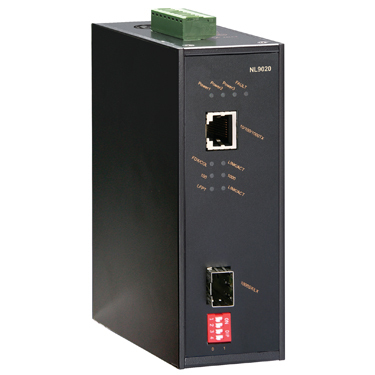 It helps network administratorsand installers to layout 10/100/1000 BASE–T network environments GIGA–X - Network Cable Tester With Length Meter & Wire Mapper & Short Location & Link Tester also allows for trouble–free development of new switch/NIC ethernet network devices for business expansion. 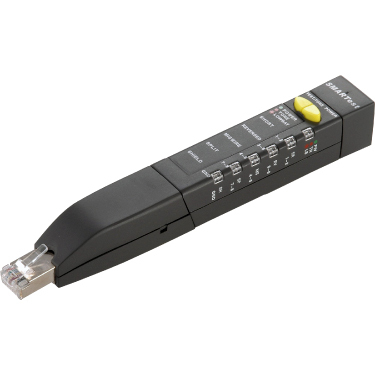 Network installers and administrators will find that GIGA–X - Network Cable Tester With Length Meter & Wire Mapper & Short Location & Link Tester is the fastest yet simplest unit to detect, identify, and maintain their network environments. GIGA–X - Network Cable Tester With Length Meter & Wire Mapper & Short Location & Link Tester complies with existing IEEE standards. SMARTest - Network Cable Tester With Tone Generator is the first pen style tester on the market. It is designed for convenience to the network professional. Its design is lightweight yet rugged, perfect for field jobs. The two button operations of SMARTest - Network Cable Tester With Tone Generator makes it quite easy to use and it’s remote unit allows for testing of cables both before and after installation. SMARTest - Network Cable Tester With Tone Generator detects the following faults: shorts, opens, crossed pairs, reversal, and split pairs.